Guest We beat nvidia fanboys with the RX 3080 at fraction of the GTX 1070Ti cost next year. So a card that doesn't exist yet might possibly perform better than a competitor's two generations old card in the future, when it's released. There is fanboyism all right, but I don't think it's coming from camp green. This seemed like a good way to test whether my new system was working properly. Default install, no tinkering or overclocking just yet. It does demonstrate that the 20 series is definitely faster if you give it something to do. Ehvis This seemed like a good way to test whether my new system was working properly. Default install, no tinkering or overclocking just yet. Agreed but going on the price it should be 2 times plus quicker than the 1080 ti for the price it is which it's far from being. So I got a setup with the new 2060 and decided to post the results here. Guest The Superposition benchmark is CPU bound, see the results. The Heaven benchmark is better for stress testing your computer. Any benchmark can be CPU bound if you run it on a weak enough CPU. Superposition loaded my 2080 Ti 100% all the way through. 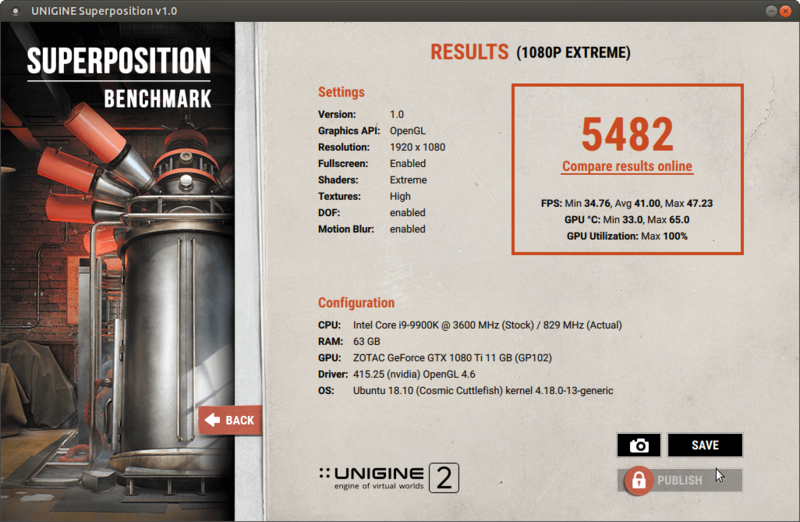 I'm sure it could do a little better if it wasn't on OpenGL, but CPU bound it was not. Yep, I agree. Superposition stresses the GPU almost regardless of CPU in my testing. I've run the same GTX 1080 Ti on multiple computers with very different CPUs and the results are extremely similar. 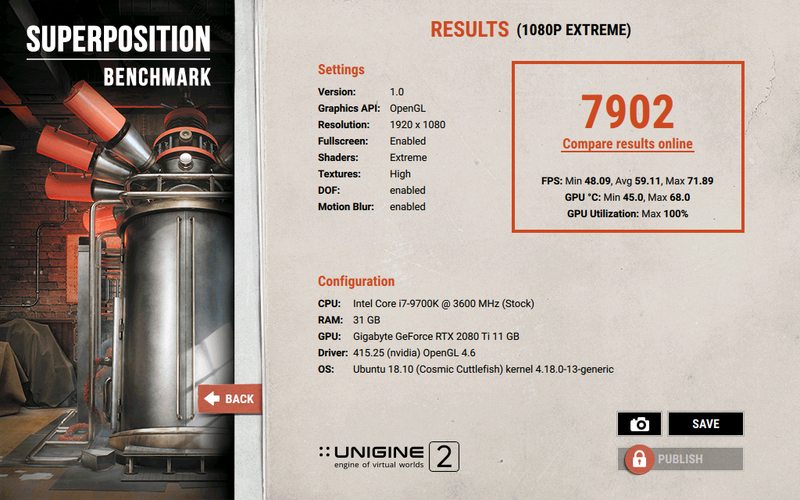 Without overclocking the GPU results on i9 9900K and i7 6770HQ are almost identical.